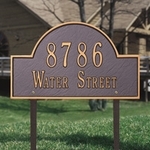 Choosing the right plaque, yard sign or house numbers can help your home or business stand out from the crowd. 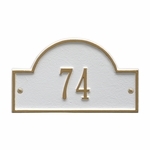 There are far more choices on the market to attract attention to your property than the standard address numbers of days gone by. Allow us to delve a little deeper into the options available in this category. 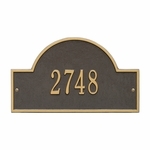 Address numbers and plaques can be broken into 2 basic categories: Numbers & Letters and Statement Plaques. 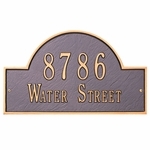 You may choose from variations for your home, office, or for wherever you need a decorative address plaque. 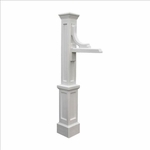 These are available in various materials like brass, stone, or polyethylene. 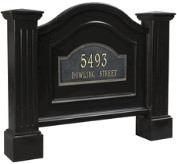 Likewise, you may choose from three basic mounting options: wall mount, hanging, or yard sign. Self-adhesive or the use of an after purchase contact cement depends on the manufacturer and the product chosen. 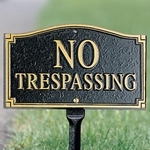 These plaques may be purchased with a pre-manufactured statement such as “NO TRESPASSING” or may be custom ordered with your family’s name, address or virtually any wording. Polyethylene - this material has gained popularity for use in outdoor products primarily due to its attractive finish in virtually any color, durability to weather extremes and relatively low cost of manufacturing, which translates to savings for the consumer. 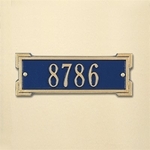 Once you have decided whether you need a plaque or individual numbers, you can move on to deciding what type of material and layout you prefer. 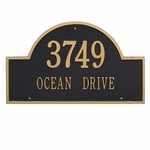 As mentioned before, address and statement plaques are available in wall mount, hanging and lawn mount options. 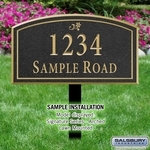 You can also purchase plaques in a horizontal or vertical layout. We are proud to distribute well-known brands like Gaines, Whitehall, Imperial, Majestic, Special Lite, and more. Chances are we have what you are looking for right here. 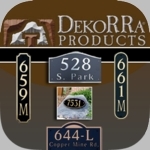 Please, take a few minutes to browse the vast selection on our site. We have broken it down into categories for you to find exactly the right product for your project. If you still cannot find what you want, give us a call. Question: Do you also offer hotel lobby directories? 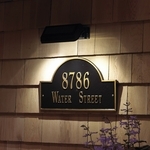 Answer: Yes, we have several Hotel Directories available. Thank you. 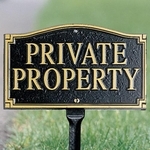 Question: Where do I get an adhesive label for a tenant to place on a mailbox? It should only be about 2" by 1/4". I know that the former landlord ordered from this company. I would like to order two of them when I find the correct item. 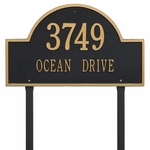 Answer: You are looking for a custom placard for a 4B Mailbox (click link). Thank you. Question: We have a (1) number address. Any suggestions for plaques? 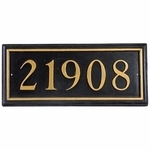 Answer: A petite size plaque seems more preferable, so that the single number will not appear lost on the plaque. 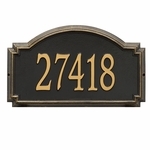 Question: I need house numbers that are 1.5 wide and 2-3 high... metal or plastic is okay, but not vinyl. Do you carry such stuffs? Answer: Sorry, we do not carry numbers with those specs. Question: I found PCS-43L address plaque but when I put that in the search box it says no match is found. I'm trying to go to the page for that particular plaque. Can you help? Answer: Here is the plaque you are looking for. Answer: I'm sorry but we do not have any information on this. Question: Do you have a plaque with the Fleur-De-Lis on it? 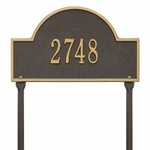 Answer: Yes, we do have Fleur-De-Lis address plaques. 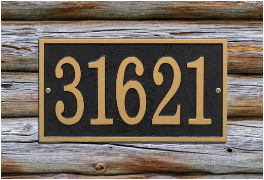 Question: My address is 138 CR 148, do you make a plaque that will hold these numbers and letters? Answer: Any plaque that you can enter 10 or more characters on will hold that text. Please call if you need help to find one. Question: Do you have a 3x3 plaque, If I knew what love is, it is because of you? Answer: Sorry, we do not have that. Question: Do the consecutive years on a plaque with columns go vertical or horizontal? Answer: The column plaques are a vertical plaque. I'm not sure what you mean about consecutive years. Answer: Here are some 3x6 options. 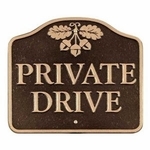 Question: I would like a house plaque with a personal quote on it. Is this something that you can do. 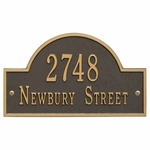 Answer: We have many plaques that can be customized, but they do all have a maximum amount of characters allowed. Please call us for assistance. Question: I need to order 4 inch black/brass house numbers and letters SKU 1220BLK 93 numbers and 23 letters. I need volume discount. Answer: Please fill out our Bulk Order Form and a custom quote will be sent to you via email. Thanks! 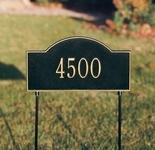 Question: Do you make plastic address numbers for mailboxes about 2'Hx3" W? We would need about 15 to cover the neighborhood. Answer: We do not sell plastic numbers. Question: Do you make wall plaques? Answer: We do not make wall plaques but we do sell them. 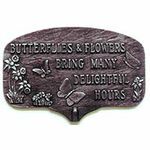 Just search "wall plaques" on our website. Question: Do you have a wood shamrock? 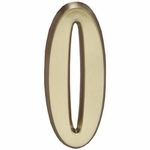 Question: I am looking for 5 to 6 inch brass numbers (3 7 6 ). I do not want plated ones. Answer: Sorry, we do not have what you are looking for at this time. Question: Can you show me a dedication plaque that can be screwed at the back of baseball seats? Answer: I'm sorry, we do not have that type of plaque at this time. 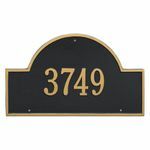 Question: Do you have plaques black gold with 2443 numbers? 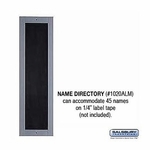 Answer: There are many plaques with these options please call for assistance. Question: Should the address of a new house go near the front entrance? Answer: The best thing to do would be to check with your local offices for regulations. 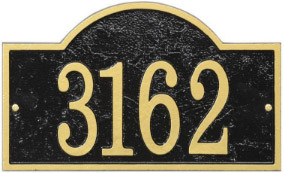 Question: Can you make a wooden plaque for "Northern Pacific RR"? How long will it take, and what is the cost? 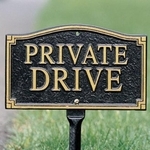 Answer: Please take a look at this customizable Wood Plaque. This item takes 6-8 weeks to ship. Thank you!